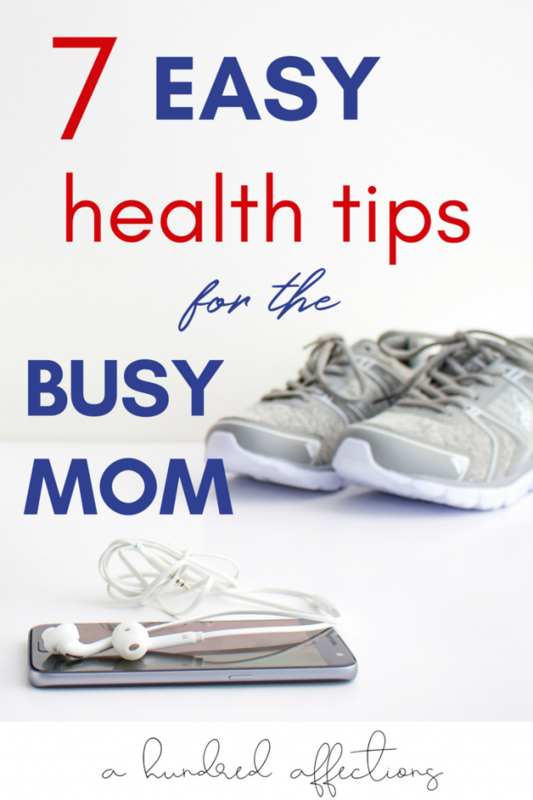 Are you a busy mom who wonders how in the world you can fit healthy habits into your already-full life? It’s not as hard as you think! Keep reading to see 7 easy health tips you can begin today! I’d like to think that I live a healthy lifestyle. I’d like to think that taking care of my health is a priority. I’d like to think that setting a big goal for myself will only motivate me more. But that’s just not reality. About a year and a half ago, I got serious about losing the baby weight. I had that stubborn last 10 lbs. that wouldn’t come off. My goal was, by my twins’ 2nd birthday, to be down to my pre-pregnancy weight (which was still heavier than my norm because of all the fertility meds I had been on, but it seemed a fair goal). I cut out sugar, made some adjustments to my portions, and I made it to the final 3 lbs. Right around that time, I did a Whole30 round, and not only did I reach my pre-pregnancy weight, but as I continued to eat along those lines, I went 10 lbs below that- much closer to my pre-infertility weight. Last summer, I finally got rid of the last of my maternity clothes and the in-between-sizes clothes I bought at the thrift store (because who’s spending real money on those?!? ), thinking that now that I finally lost that weight, I was good to go. We were trying to sell our house. Either the boys or I was sick every other week so we barely left the house. For weeks. The weather was freezing, so we barely left the house. For more weeks. I was overwhelmed trying to be a SAHM, a WAHM, and tutoring at night. I was baking for blogging projects – and eating my way through the goodies, one baby spoon at a time. By the time Easter came around, all that weight I lost was back on. And I felt awful about it. It hasn’t been easy to come to terms with that. To feel like I wasn’t strong enough to keep the baby weight off. To feel like I failed at my goals. To feel like I let myself down. It hasn’t been easy to show myself any degree of grace in realizing that my lifestyle at the moment just does not allow me to prioritize the same kind of healthy lifestyle I had before I had kids. Now, this doesn’t mean that I can’t or shouldn’t be healthy. It just means that, for this period of my life, I have to adjust my picture of what ‘healthy’ looks like. I doesn’t look like going to the gym. It doesn’t look like cooking everything from scratch. It doesn’t look like having all processed foods out of my house when sometimes that’s the only thing my boys will eat. It does look like balance and taking baby steps to a healthier lifestyle. Whatever is realistic at this moment of life. And that’s what I want to encourage you with today, too. Sometimes, it’s just not realistic to set lofty goals that are unattainable at this time in your life. That will only set you up for failure. In my opinion, it’s better to set some small goals that you know you can achieve, that will move you in a healthy direction. There are some easy health tips you can begin to incorporate in your life even today. Little by little, and probably more slowly than you (and I) would like, you’ll get where you want to go. But you’ll get there. I know that the craziness of being a SAHM. And WAHM. With twin toddlers. The kind of healthy lifestyle we want just might not be possible right now. I believe it will be again one day, but just not at this moment. However, we can take baby steps to a healthier lifestyle. Here are some easy tips that can move all of us to a healthier lifestyle, one baby step at a time. 1| Be active more days than not. I don’t even want to say be active ‘every day.’ That puts pressure again. But if I can be active for at least 4 out of 7 days, that’s a doable goal. For me, the only way I can handle exercise is by taking walks with my boys. 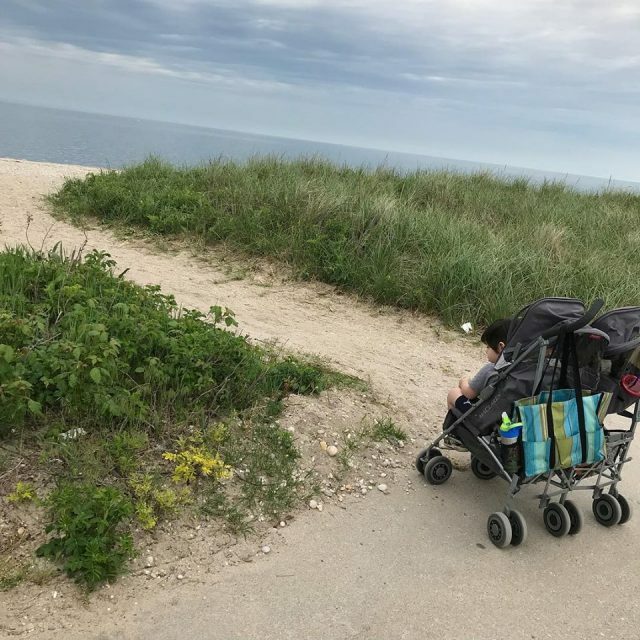 At 3 years old, thankfully, they still like their stroller and even ask to go on walks! So that’s perfect. A 30-45 minute walk several days a week fits perfectly with my lifestyle right now. Find what activity works for you – stroller walking, walks during your lunch break, a bike ride with the kids after dinner. Wherever you can fit it in, add some movement more days than you don’t. 2| Cut out sugar and non-organic processed foods as much as possible. I know I can’t do Keto or Weight Watchers or calorie counting or Whole30- or anything that requires counting, math, or heavy food prep right now. But I can make healthier choices. I can cut out sweets. It’s hard, but I can handle that. Sometimes I need a convenient snack or I’m heading for the ice cream, so I’ve allowed myself to have processed organic snacks. Fresh food for snacks would be ideal, but if I’m going to have a snack, I’m aiming for organic. For me, that’s a doable middle ground. If you can eliminate sugar and most processed foods, you’ll move your health goals forward by miles. 3| Use a good pro-biotic. Gut health is so important to a good immune system and overall health. 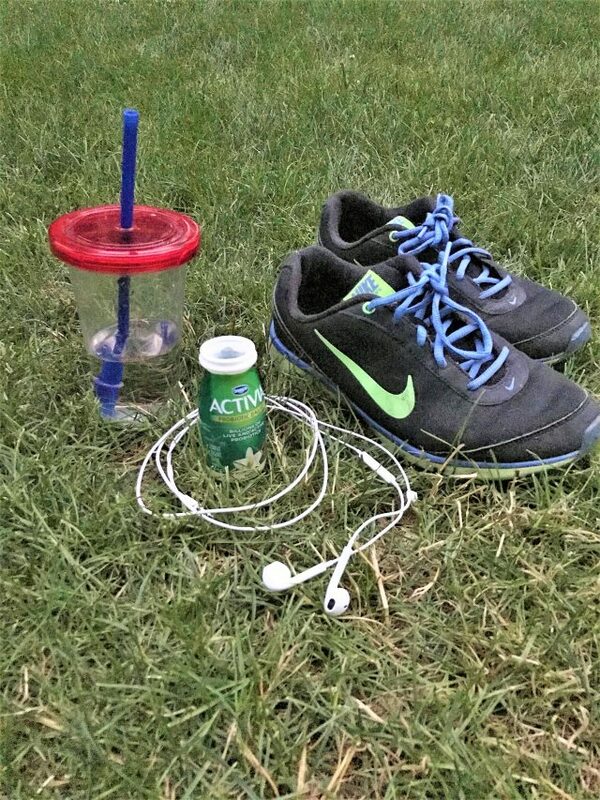 I just finished the Activia 2 Week Challenge, drinking 2 Activia Dailies yogurt drinks a day, and I loved it!. 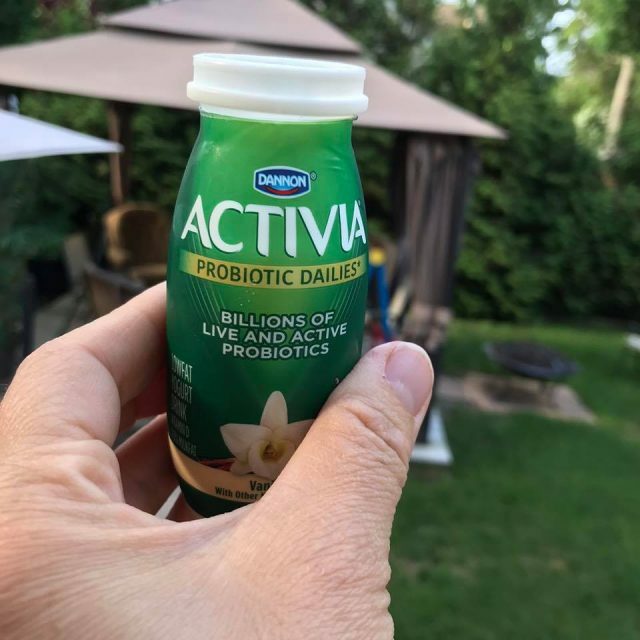 By having 2 a day, I knew I was getting billions of live and active probiotics, which is great for overall health. I used them as a mid-morning and mid-afternoon snack, which really helped me fight off the snacking urge. It worked so well, I’m planning to keep it up. 4| No snacking after dinner. There’s a lot of talk these days about intermittent fasting – the idea of giving your digestive system a rest and allowing your body to burn stored fat. Fasting for 12-16 hours at a time is ideal (including overnight hours), but even just the 12 hours from when you finish dinner to when you get up in the morning would be a great help to your system. I’ve stopped having dessert after dinner (that does take a little getting used to), and I definitely notice I feel better and my tummy is flatter in the morning when I’m not eating at night. 5| Get a good night’s rest. I know, moms. I know. We gave up on the idea of sleep when we saw the 2 lines on the pregnancy test. I know it feels like sleep is a luxury, but it’s not. For certain periods, it might be necessary to not have regular sleep, like when we have newborns. But poor sleep should not be our lifestyle! Our physical, emotional and mental health suffers immensely when we aren’t sleeping. If you can’t adjust your wake-up time, try to work on your bedtime. Or if your kids still nap and you are a SAHM, if you really feel like you need that sleep, nap during their naps (I know, most of don’t or won’t on a regular basis – me, either – but if you are especially exhausted on a certain day, do it. I do, and it makes such a difference for me and for handling my kids during the witching hour). 6| Take time for yourself. Full disclosure – I don’t like the term ‘self-care’ – I’m not sure why. Maybe it’s because I feel like our culture is so self-centered as it is or maybe because it feels like a trendy buzzword. But the truth of it is that you do need to take some time for you. I’m not going to tell you how to do it or what to do, but you just need to pay attention to your stress levels and take note when you need to pull away. It doesn’t have to be daily or weekly ritual (but it could be), but just make sure you’re tuned in to giving yourself a break. For instance, on weekends, I usually do my errands while my kids are napping and my husband is home. However, one Saturday morning, I was reaching my breaking point with the twins. They were just off the charts. My husband was out doing his errands, and when he came home, I just grabbed my keys, told him I needed out and he was on duty. I just needed to escape for a little while. It wasn’t any grandiose self-care routine, but it was just something that I needed to do give myself the break I needed. All I’m saying is just recognize your limits and your breaking points, and take time for you. I’m not against goals, but make sure they are realistic. I personally think that when you’re overwhelmed and just trying to find some balance, small, attainable goals are the way to go. 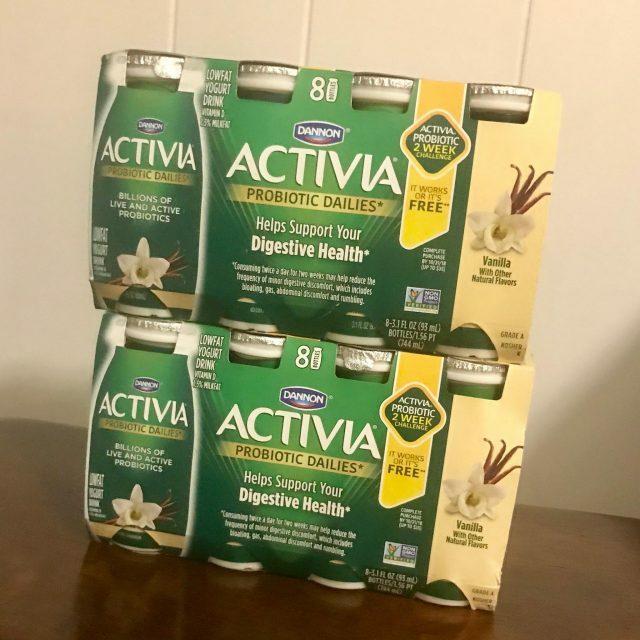 The Activia 2 Week Challenge is one example. Setting the goal to walk 4x a week is another. Those goals were something to aim for to keep me motivated rather than keeping it so open-ended. So, pick a few small, attainable goals that won’t overwhelm you, ones you know you can achieve. Then, when you’ve had some success and your lifestyle opens up a little, set some bigger ones. As moms, we love our kids and families so much that it’s easy to let ourselves and our health go. To a degree, it’s par for the course, but there still are some small things you can do to move towards a healthy lifestyle. It’s easy to want a whole life overhaul in a short period of time, but small steps add up. Don’t be ashamed of starting small. Just do something. Anything that will move you in a healthier direction. I’m with you, sister. We’ll baby-step ourselves to a healthy lifestyle, one way or another. If you want to set a small goal for yourself, why not try the Activia 2 Week Challenge? It’s so doable, and that small success will leave you feeling better and more motivated to keep it going! You can get a $1 back from Ibotta by clicking here! Thoughts? I’d love to hear them! Leave a comment below and I’ll get back to you! Know others who could use this? Please share!